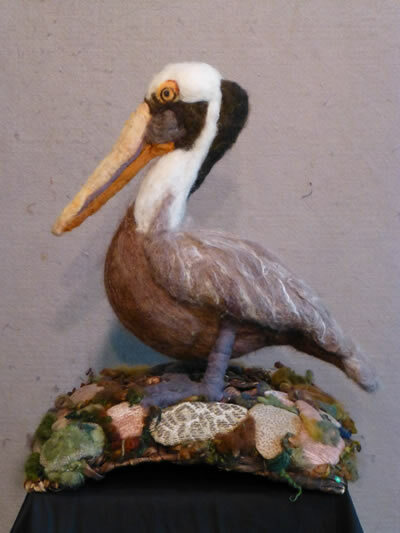 Join Sharon and Gallery 200 artists for light refreshments at the opening of “Nature in Fiber” The show will be on display at Gallery 200 from May 4, and thru the month of May. Sharon Malec began quilting in 1992 , making traditional pieced quilts, but gradually turned to making contemporary art quilts. Her interest in animals and nature has helped to mold her unique style. She has completed more than 500 quilts in a wide range of styles, but she is most recognized for her realistic depictions of dogs and other animals for which she has developed her own patterns and her unique “free standing applique”. 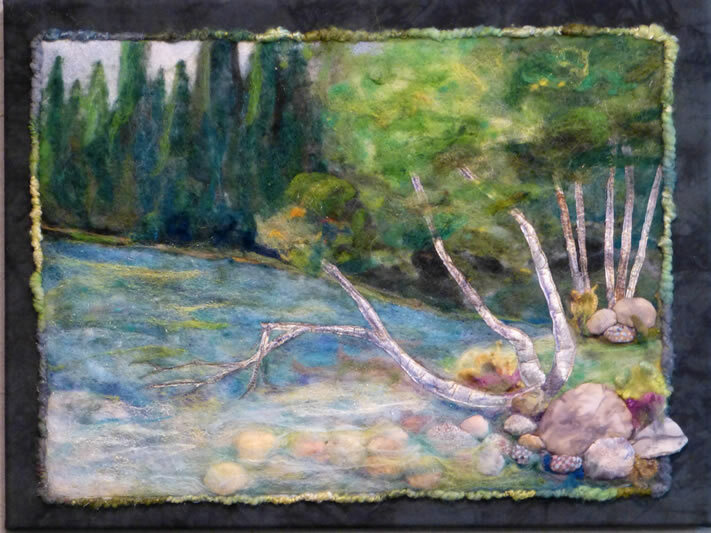 Her landscape quilts are made from her own method of fabric collage.Her most recent work includes wool needle felting and hand spun yarn. Sharon has been on the faculty at national quilt shows and has been published in Quilter’s Newsletter Magazine. 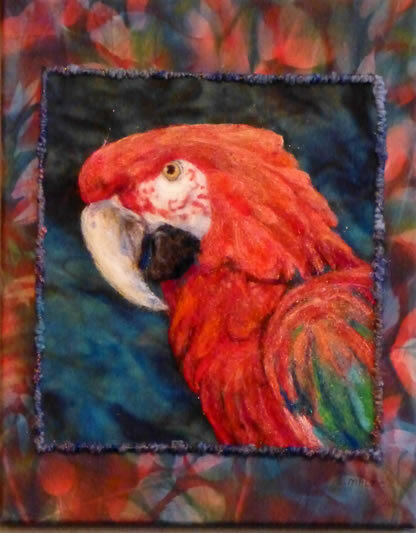 As a member of the Professional Art Quilters Alliance, the Fiber Art Divas and the Nature Artist’s Guild , Sharon has had work accepted in juried art shows and quilt shows throughout the country. She has quilts in the permanent collections of the Museum of the American Quilt’s Society in Paducah, KY, the Lincoln Memorial library in Redlands CA, and the Norris Gallery in St Charles IL, Sharon has self published three books about her work, as well as 64 individual patterns and an instructional video.